Showing 88,400 miles, built in June 1967. The engine has been rebuilt and has been upgraded with twin Solex Carb’s, flame- thrower coil pack, Fireboy kit and split charging system for additional leisure battery. It retains its original seats in the cab, with the rear of the van being converted into a campervan. It has a ¾ Rock n’ Roll bed with rear facing seats all upholstered in high quality leather cross stitch. It benefit’s from a pop top, so no crawling around in the rear while making a nice lunch or setting up the bed. It has a pop up table which seats 4 people around it so perfect for those picnic’s in the forest or at the beach. It also a dvd player in the back to keep the family happy too. 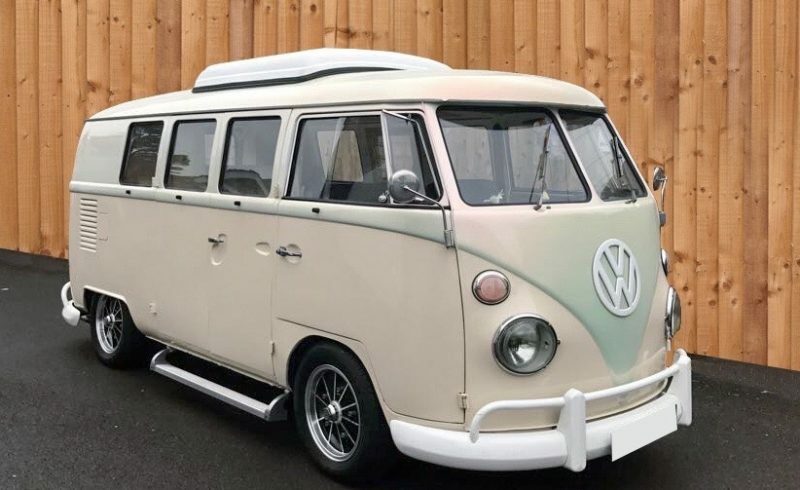 The Splitty has been tastefully upgraded and well looked after over the years, it is the prefect mix of the classic Volkswagen style with a modern twist. With the modern upgrades and the recent engine build it doesn’t suffer from reliability issue’s which so many of them do, It is ready to go! !